Welcome to our backyard hide-out. 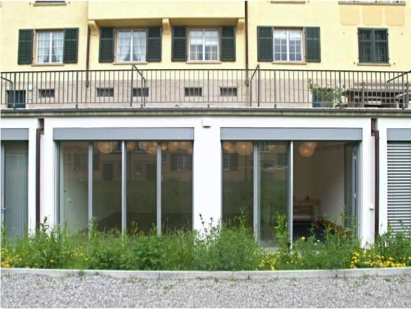 The studio is located on the back side of building Winterthurerstrasse 47 in Zürich. 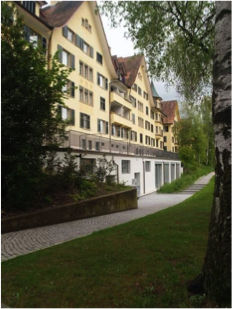 The best approach from Kinkelstrasse tram stop is to walk between the buildings, down the stairs to the grass courtyard. The studio space has big windows with metal shutters.